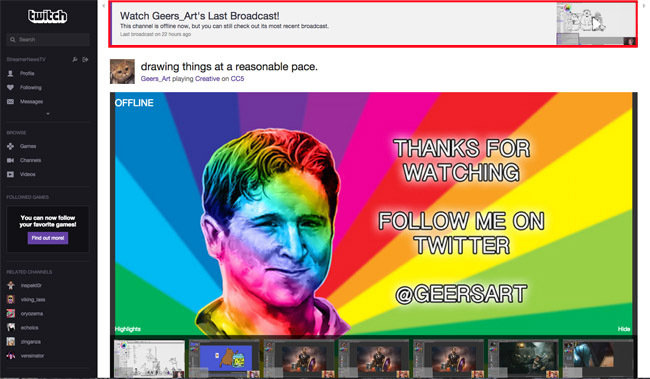 This is a great feature that Twitch recently implemented. Instead of having to go to the streamers profile and clicking past broadcasts, you can catch the last broadcast from when they were live on the top of the channel (see above). This will definitely make it easier as it is only a one button click function instead of having to go through multiple pages to find previous broadcasts.